The requester chest is a large advanced storage item that is part of the logistic network. Requester chests can be configured to request of a specified number of up to 12 types of items from the network. 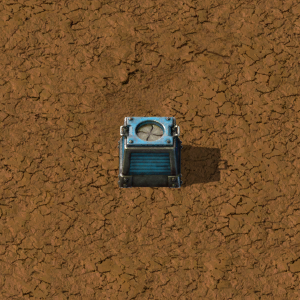 Logistic robots will then bring the specified items from provider chests, storage chests, and buffer chests, if the "Request from buffer chests" checkbox is checked, until the request is met. 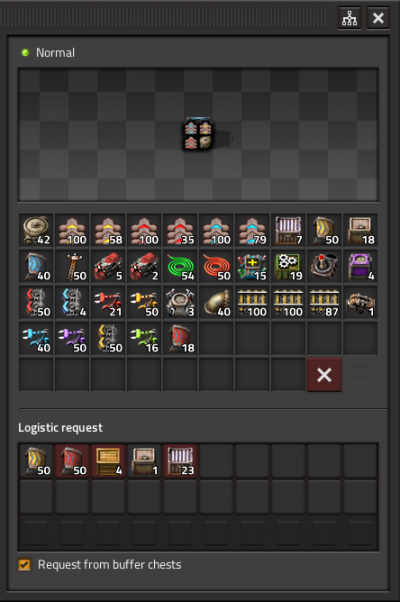 When fulfilling requests from requester chests, logistic robots will first attempt to pick up the specified items from active provider chests, then from buffer chests if the "Request from buffer chests" checkbox is checked, followed by storage chests, and finally from passive provider chests. By using SHIFT+ Right mouse button and SHIFT+ Left mouse button to copy-paste a recipe from an assembling machine to a requester chest, the requester chest is automatically configured to request enough ingredients for 30 seconds of continuous crafting. Win the game without building any active provider, buffer or requester chests. This page was last edited on 16 April 2019, at 00:37.